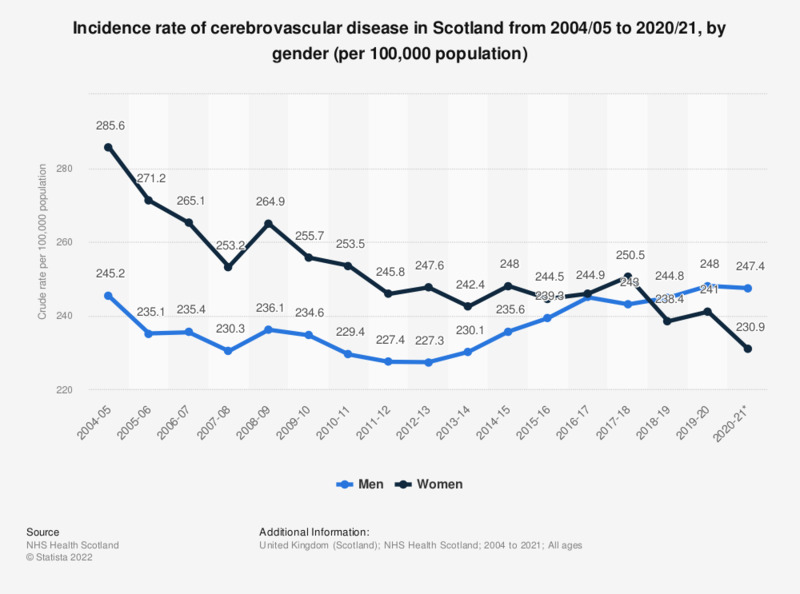 This statistic displays the incidence rate of cerebrovascular disease per 100,000 population in Scotland, from 2004/05 to 2017/18, by gender. The incidence rate of cerebrovascular disease in men and women has fluctuated over this period. In 2017/18 the incidence rate for men was 242.4 per 100,000 population and for women the incidence rate was 250.1 per 100,000 population.